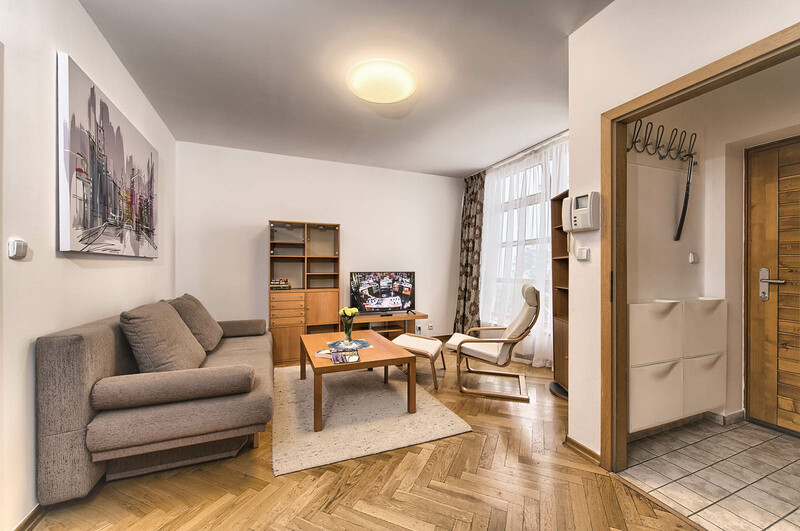 Bilkova 11 Apartment offers beautiful and very unique solution for you Prague’s apartment rental. Its design as bungalow situated in a historical building courtyard ensures a pleasant surprise upon arrival. A little garden in front of the apartment will make it even more enjoyable, especially during spring, when the flowers are blooming. The apartment is designed in brighter wooden tones for peaceful atmosphere. 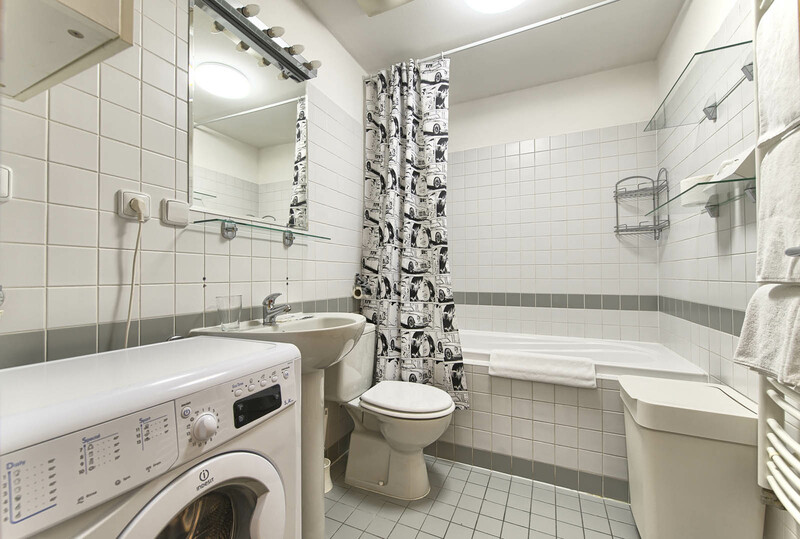 Apartment includes living room connected with a big kitchen, bathroom with bathtub and plenty of storage space. The huge plus of this apartment is a bedroom entrance to terrace with seating option, pergola and a grill. All of this guarantees you very special experience when travelling to Prague. 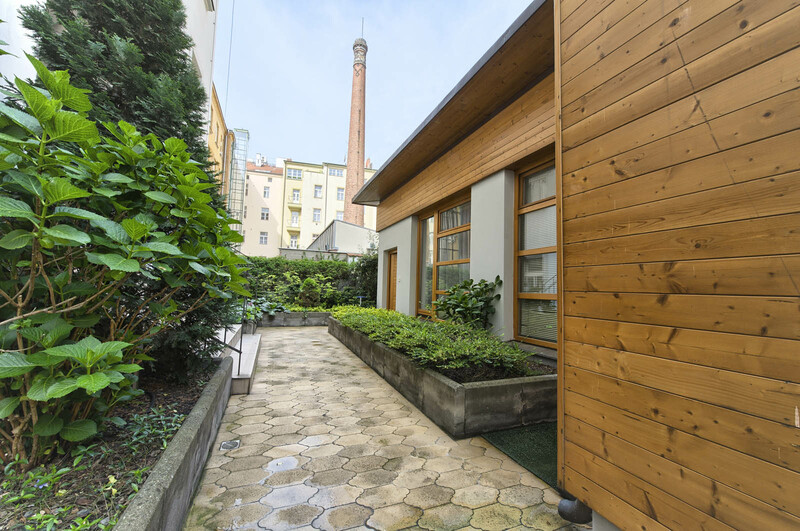 This is a very unusual place--a modern one-story, multiunit building inside the courtyard of a block of huge 19th-century apartment buildings. The big advantage is total quiet. Although the apartment is just steps away from the heavily touristed streets, with streetcars going by and noisy street/sidewalk repair underway at the entrance, the apartment itself is totally quiet. We didn't even hear noise from all the surrounding apartments. 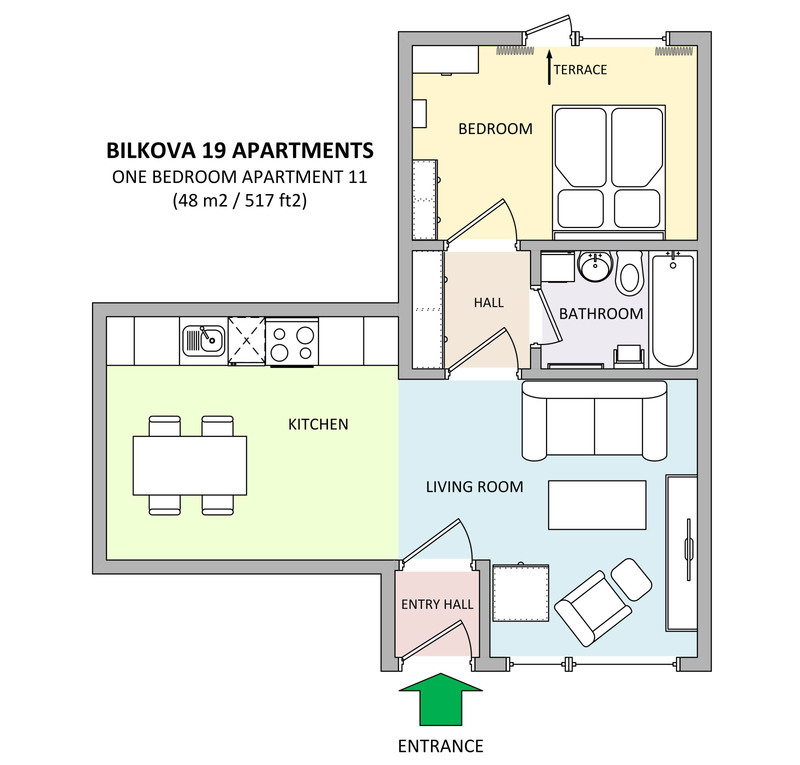 The unit itself is very comfortable, with a nice bedroom, great bath, and really lovely kitchen/living area. All the appliances worked great. A nice plus is a little rooftop deck, where we could sit, dry our laundry, and even grill. (Prague City Apartments provided a propane grill.) 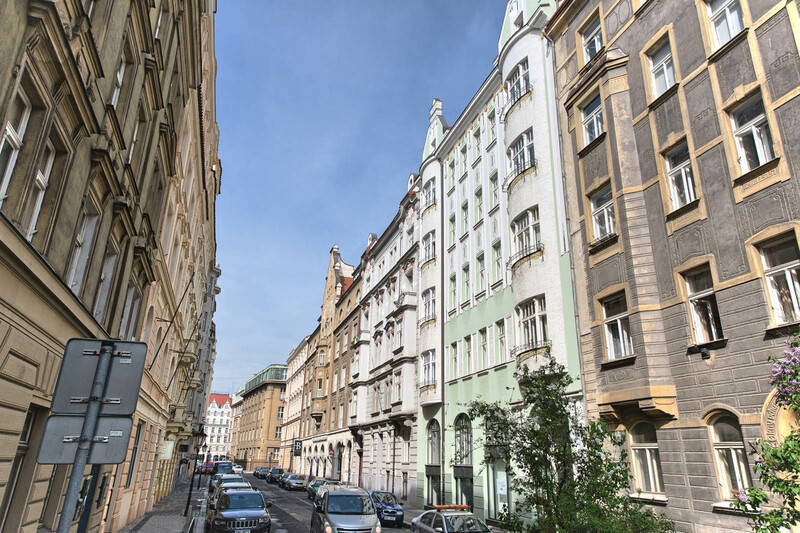 The location isterrific, within walking distance of the Jewish Cemetery, the Charles Bridge, the National Theatre, and the Old Town Square. It's convenient to streetcars across the river to the Mala Strana and the Castle. There are also nice restaurants, bars, and a bakery just down the street. A convenience store is around the corner. The Prague City Apartments staff is amazing. I was in Prague a week early and asked to have a look at the place, and someone met me there within ten minutes to show me around. I was able to store luggage with the office (free of charge) for the week. Every contact with them was pleasant and efficient. 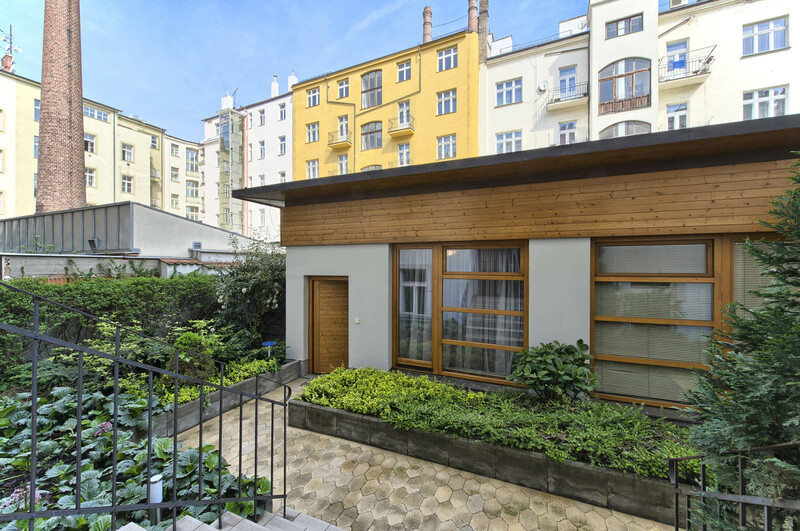 I can't say enough good things about Prague City Apartments and Bilkova 19. 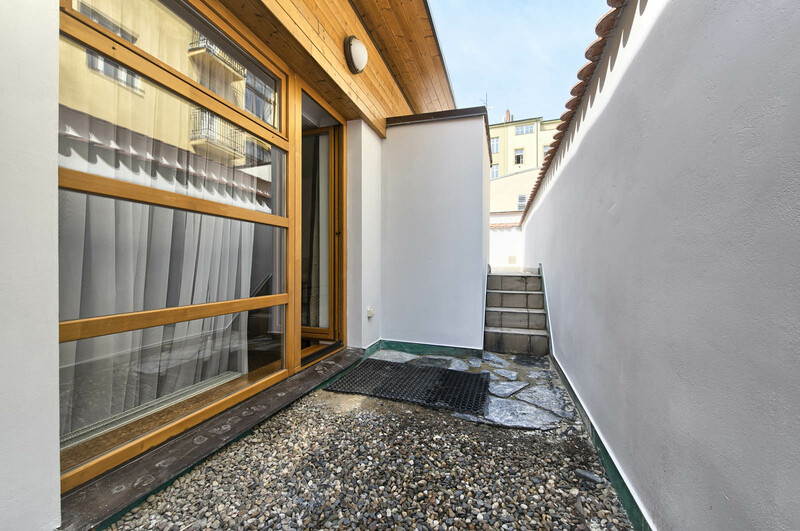 Lovely apartment at the reasonable price in a beautiful and quiet street in the heart of Jozefov, in a small house situated in the inner yard surrounded by tall buildings. 5 minutes walk from the Old Town Square. Price is very reasonable for such apartment in such district. Very friendly staff. The only issue is that you need to take your own shower gel and shampoo. They also provide you transportation from/to airport at the very competitive price too. 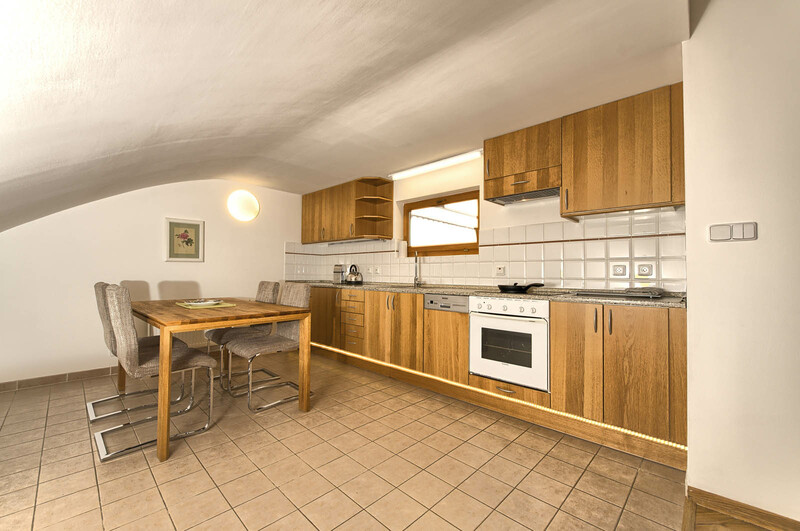 This apartment suited us for its location - ease of access to the city centre. Would recommend to others.